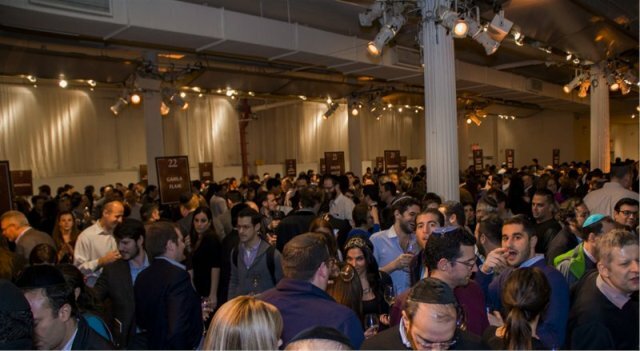 This past December I had the pleasure of attending for the first time the annual Latke fest held at the Metropolitan Pavillion in New York City. 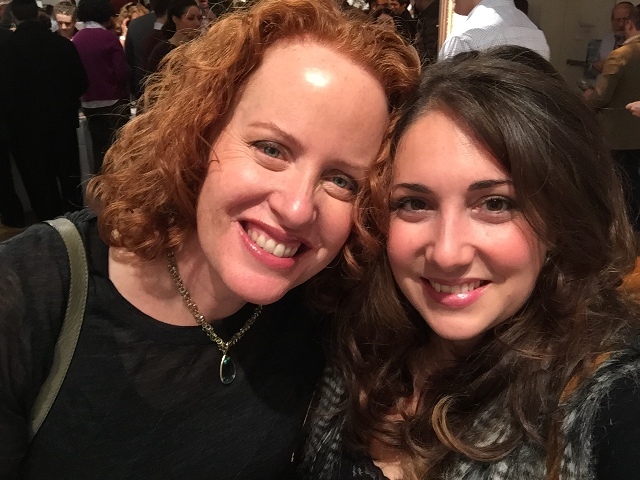 The event was a Jewish food lover’s dream – I was overwhelmed by delicious latke choices, even after two months of latke testing in my own kitchen. I was also somewhat surprised by how orderly the event ran: the guests were polite, there was ample room to move around and I was able to sample almost everything I wanted. I am still blown away by the creative combinations dreamed up by chefs from all over the New York City area including my own favorite: a chopped liver topped latke from Shelsky’s in Brooklyn. I went home happy, full, a little buzzed and inspired from the innovative approaches to Jewish food. I expected a lot of people. Fine. What I did not expect was the fighting I only ever see at the baby lamb chop station during a bar mitzvah shmorg. Silly me – throw a bunch of otherwise normal Jews into a room with meat and wine and everyone will revert back into pack behavior. I was joined by fellow food and wine lover Liz Rueven of Kosher Like Me who helped me traverse the treacherous terrain. Here we are taking a selfie while tasting some red wine. And aside from the jostling crowds, there were a few food highlights: I was finally able to try The Wandering Que’s much talked about brisket, and it was divine: well seasoned and fall apart tender. 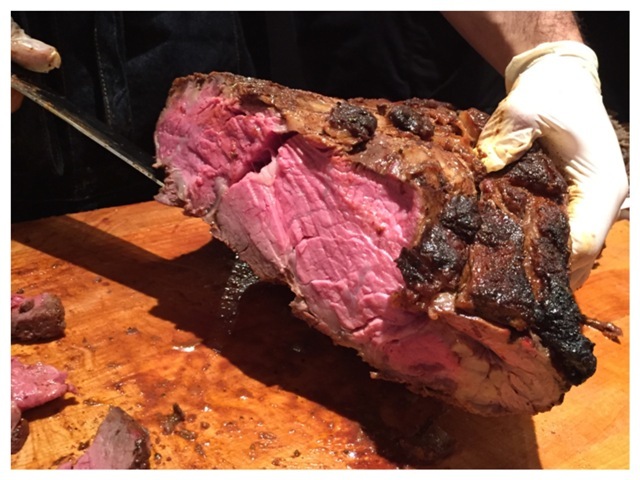 I also fell madly in love with the chipotle and cinnamon prime rib from T-Fusion Steakhouse, and not just because the guy serving me was a shameless flirt. It was amazing, I could not stop talking about the great flavor and perfectly cooked meat. The wine was overwhelming, and due to the massive crowds, it was nearly impossible to speak at any length with the wineries. Nevertheless two of my favorites were the Drappier Brut Champagne Cart D’or ($49.99) and the Shiloh Shor Cabernet Franc ($29.99). In other Jewish food news, there are two new kosher food carts that have recently hit the streets of NYC: The Shuka Truck, serving up different kinds of shakshuka and Holy Rollers, serving up some interesting combos of hot dogs and sausages. I haven’t been able to try Holy Rollers yet, though plan to go soon. But I can say with confidence to check out the Shuka Truck. The food was delicious and the three Israeli friends running the shop are adorable and hysterical. Another exciting piece of news from the kosher food world: a new food delivery service called KitchenSynch has launched – the first and only Glatt Kosher meal kit delivery service that brings you all of the pre-measured ingredients you need to prepare a complete meal from scratch. So for those of you who get nervous about cooking, or want to branch and try new things, but with some of the guess work removed – this is a great option to try. All chicken, meat, veal, lamb, and turkey used in the meals are locally sourced and under Glatt Kosher national kosher supervision. Kitchn Synch is the brainchild of Douglas Soclof, founder of Dougies BBQ & Grill who shares “I saw a missing niche in meal delivery kits for them. It’s for anyone looking for great quality, delicious food delivered to their door.” For more information check out their website, Kitchen Synch. 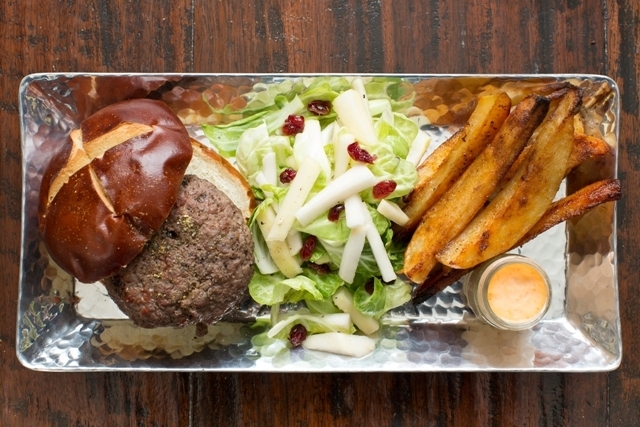 Got some kosher or Jewish food news to share from your hood? Email ssarna@70facesmedia.org or post below!